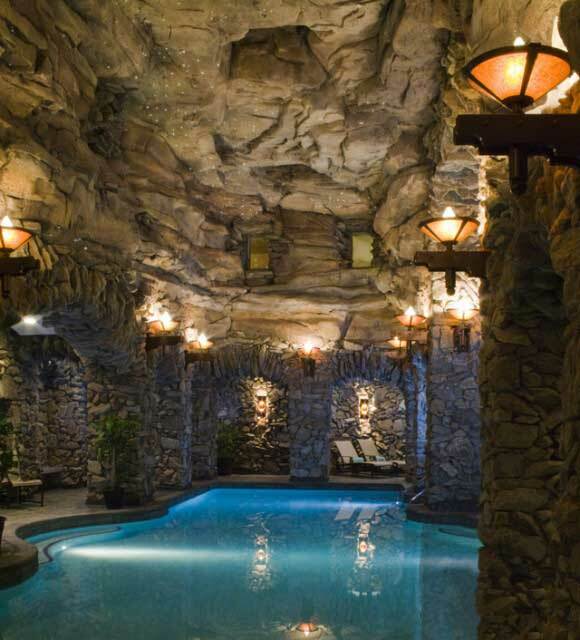 We built a completely custom pool and grotto within the world-renowned spa inside the Omni Grove Park Inn in Asheville, NC. Check out some of the photos from our build. 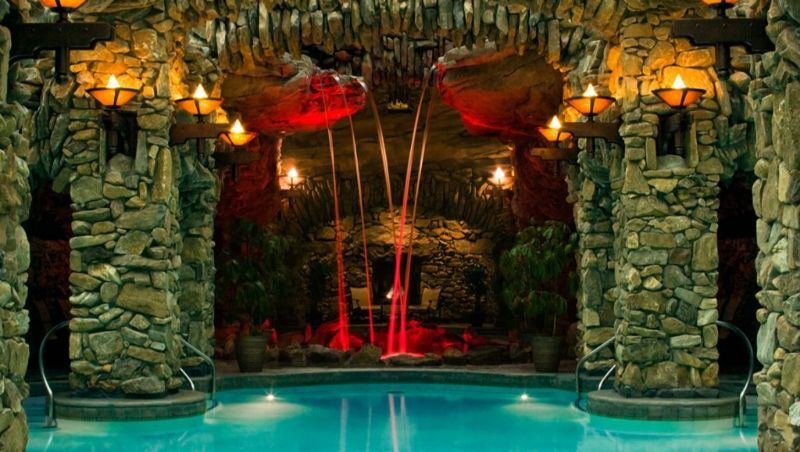 This subterranean spa features a number of different pools and areas for relaxation, including saunas, steam rooms, inhalation rooms, and more. 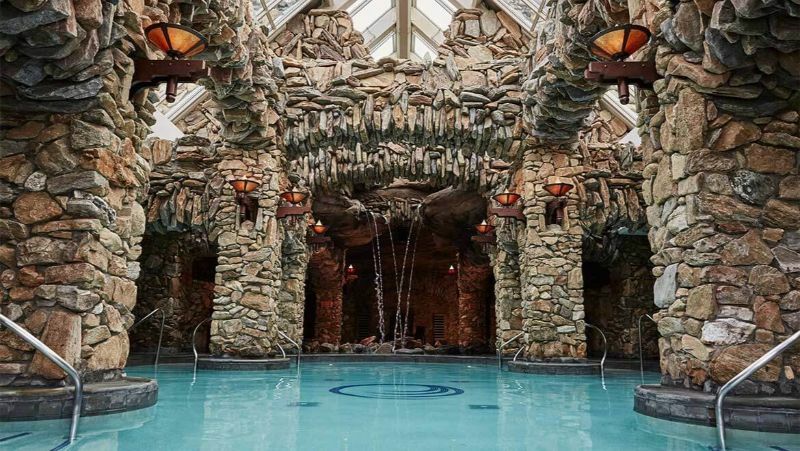 In all, it has twenty water features and separate private areas for both men and women. They also provide a bunch of services in their spa area – including skin care, body treatments, and hand & foot treatments. 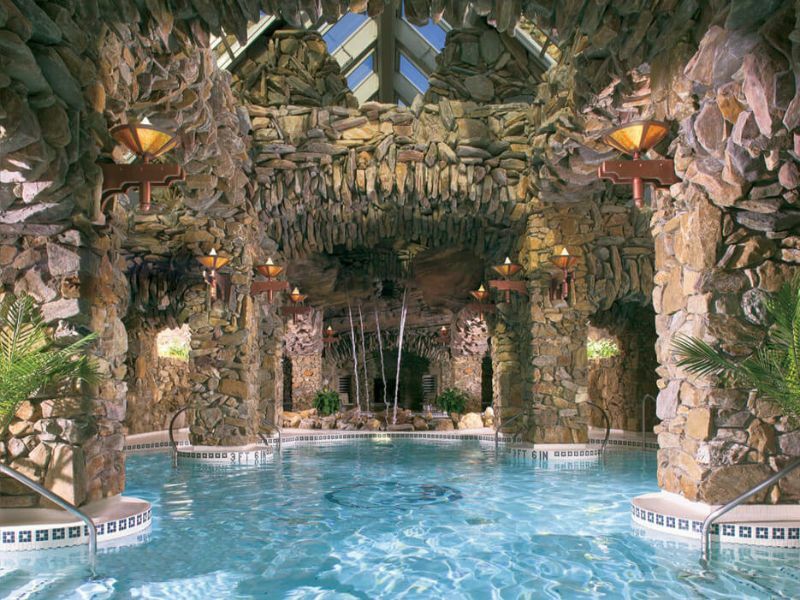 The spa has been featured in multiple magazines and award lists, including Condé Nast Traveler’s best resort spas in North America.